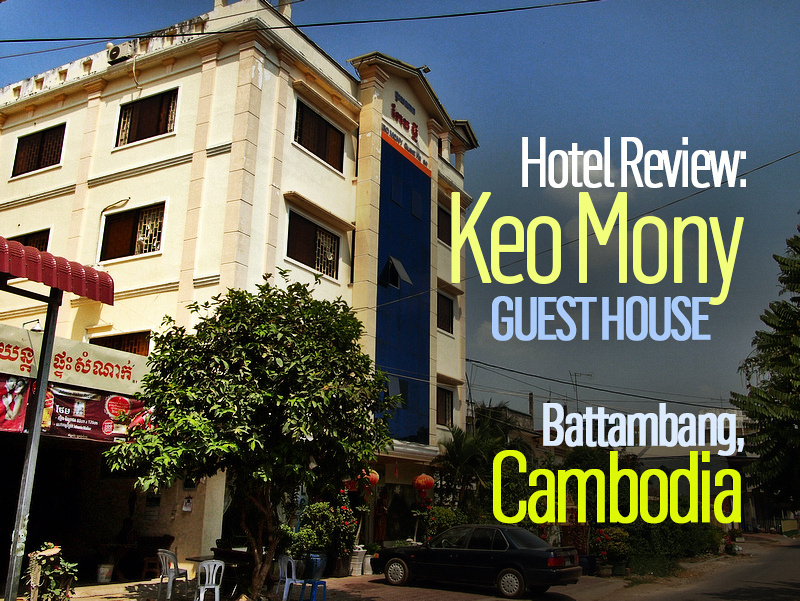 I stayed at the Keo Mony Guest House in Battambang, Cambodia. I booked online for $7 USD a night and booked it for its location and price. The guesthouse is near the train station (with no trains) and it is an easy walk to the old colonial area near the river. I got a double room with private bathroom. 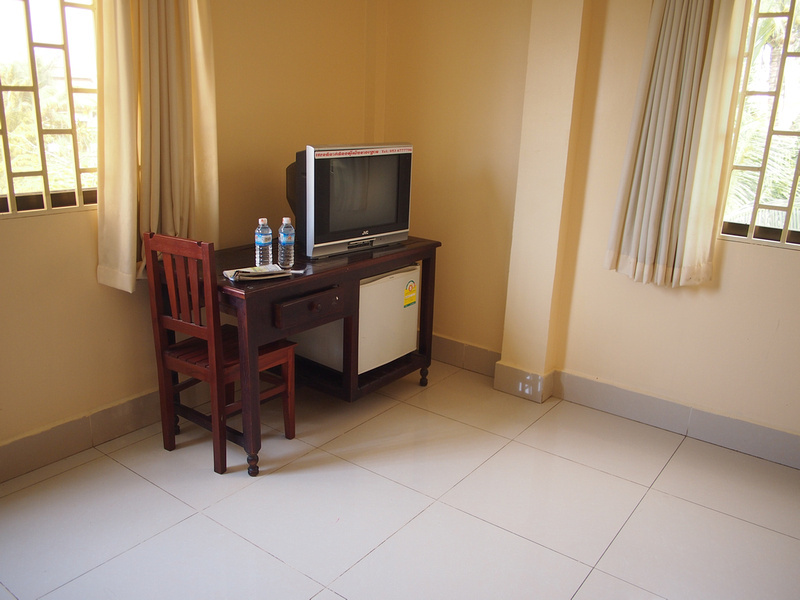 The bed was very comfortable and the fan for the room was enough to stay comfortable. I had a corner room so there were two walls with windows, filling the room with natural light. 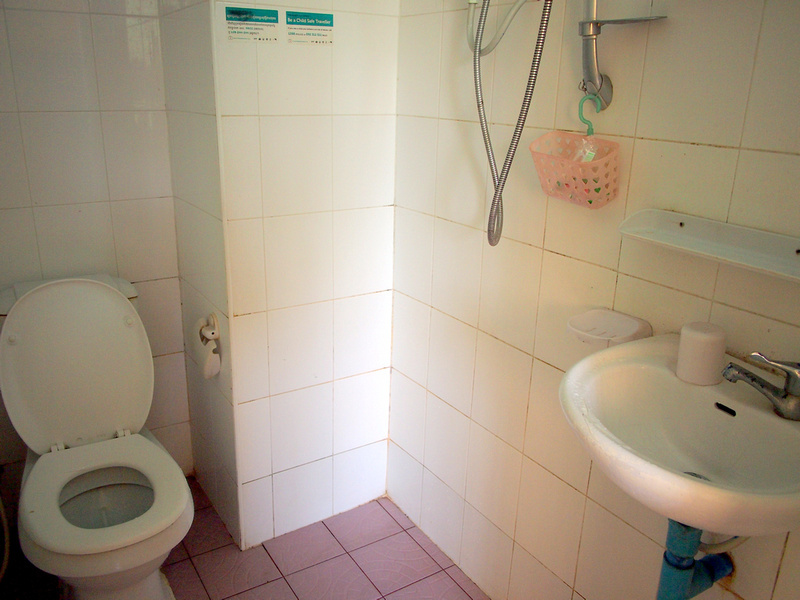 The bathroom looked a bit old but it was clean and orderly. There was a hot water system which either was not in commission or I just couldn’t work out how to use. I don’t mind the cold showers in the tropics so I didn’t miss the hot water. I got a weak wifi signal in my room that kept dropping out. I ended up sitting at the stairs where the wifi box was when I needed to use the internet. 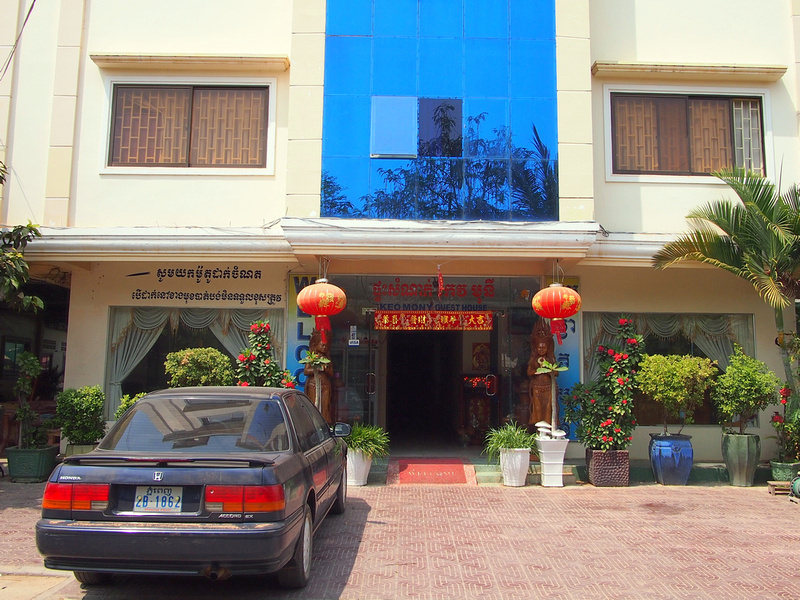 Overall this guesthouse was ok to stay at for the price but the internet was a letdown. 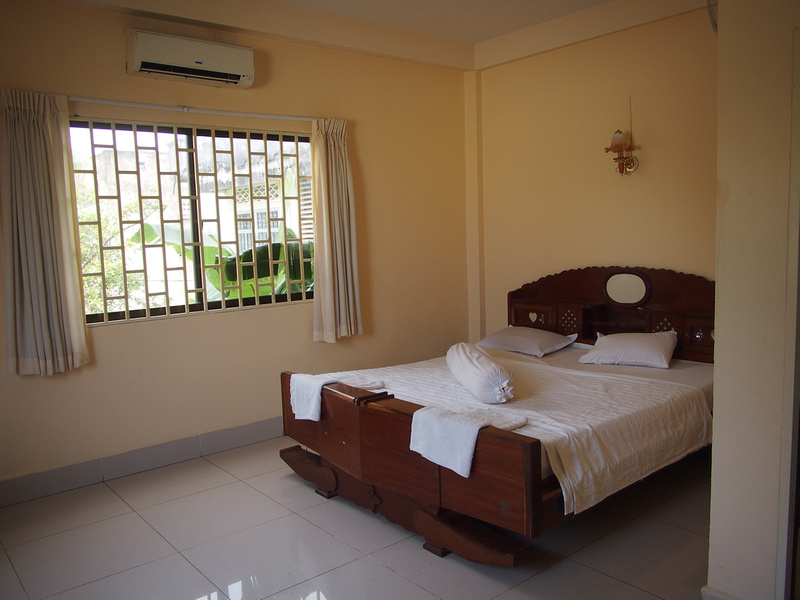 Book the Keo Mony Guest House online or search for more hotels in Battambang.